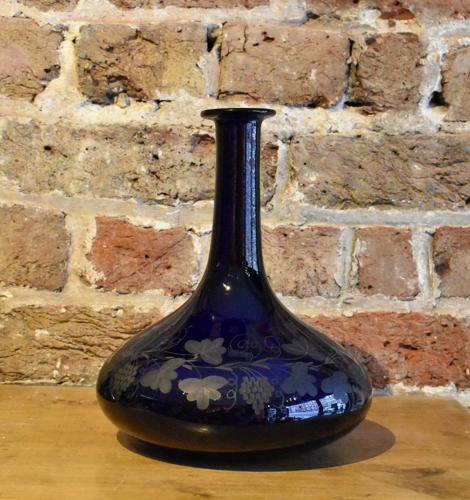 A particularly fine quality, early 19th century 'Bristol blue' ship's decanter or Rodney of traditional form. The body of the decanter is engraved with decorative grape vine motifs. The piece would originally have been fitted with a cork stopper. Circa 1820-30.